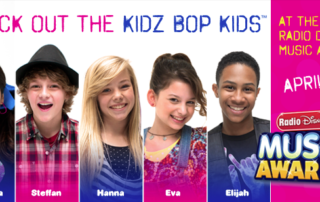 GIVEAWAY: KIDZ BOP KIDS Live at The House Of Blues Anaheim, Sunday, April 28! WE HAVE A WINNER! Hollywood Mom Monika and her daughter Madison are going to KIDZ BOP Sunday Night and taking home a bunch of family friendly CDs! Thank you to Kidz Bop, Dina and Steffan Argus and everyone who entered. Monika says, "Madison has the surprise of a lifetime coming!! Thank you HMB!" You're welcome!